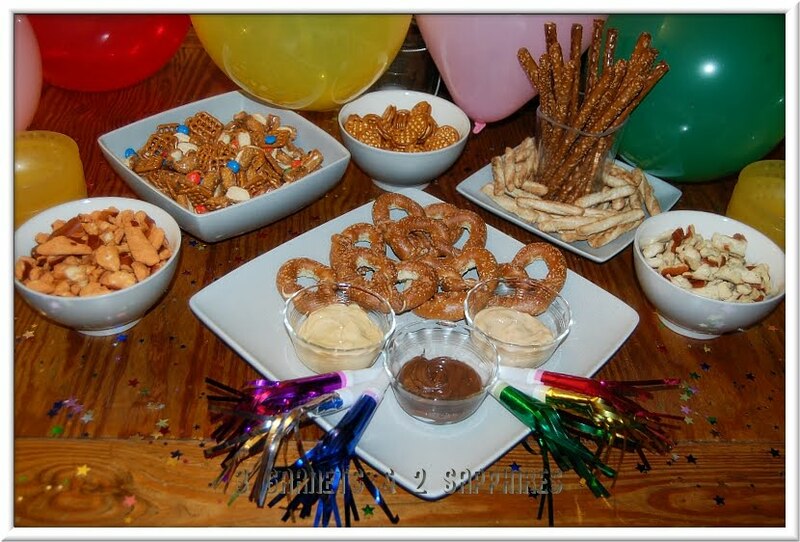 3 Garnets & 2 Sapphires: Celebrate National Pretzel Day with a Pretzel Party! Celebrate National Pretzel Day with a Pretzel Party! Today (April 26th) is National Pretzel Day! I really have never met anyone who did not like pretzels. Of course, everyone has their favorite variety, so when celebrating such an occasion, you really must try to cover all your bases. I did not have much time to plan our party, but I think I did pretty well by using what we had in the house in addition to the items in the National Pretzel Day Celebration Kit we had received from Snyder's of Hanover, which included 10 varieties of Snyder's Pretzels, a recipe booklet, party horns, confetti, and balloons. 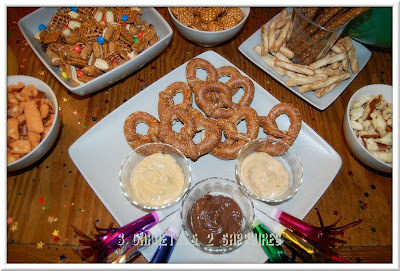 I must say that the pretzel party was a huge hit with our three children. They talked about it for days after the event. If you would like to throw one for your children, here are a few easy things I did . . . I had decided to use only 8 varieties out of the 10 I had received. The Cheddar Cheese Pretzel Sandwiches, Cheddar Cheese Pretzel Pieces, and Buttermilk Ranch Pretzel Pieces were served alone. 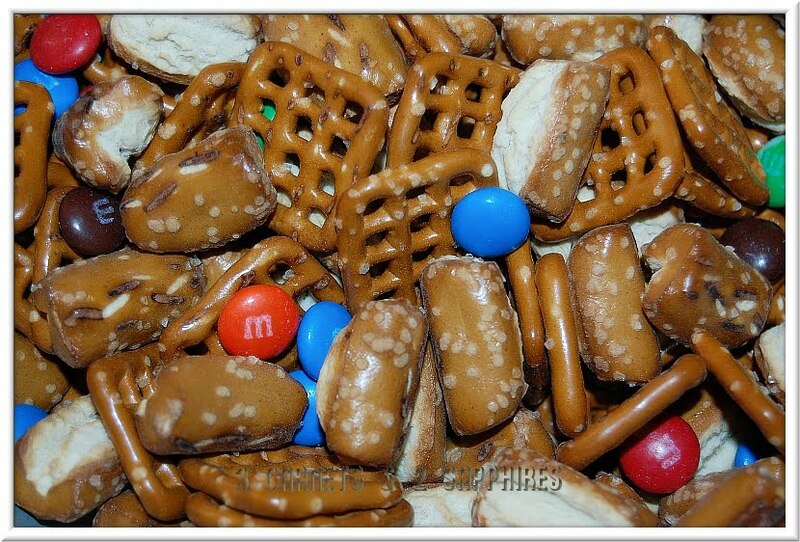 Since I knew that my children would be disappointed that there were not chocolate-covered pretzels included in the kit, I made a salty sweet snack mix using the Pretzel Snaps, Sourdough Nibblers, and M&Ms. I had previously purchased Elki Bacon Blue Cheese Whipped Mustard Spread & Dip and Elki Smoky Garlic Mozzarella Dip. 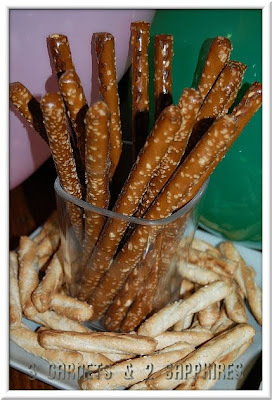 I put these out in custard cups along with Nutella for dipping the Snyder's Pretzel Rods, the Honey Wheat Braided Twists, and the Sourdough Hard Pretzels. 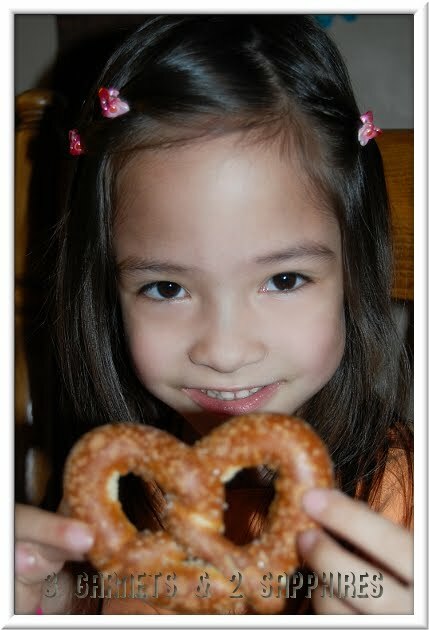 Although our children loved almost everything, their absolute favorite variety was the Cheddar Cheese Pretzel Pieces. 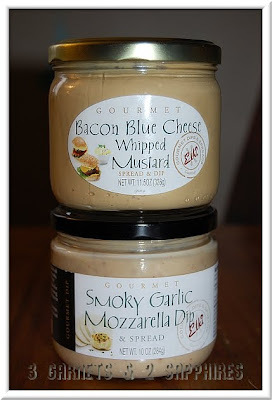 Personally, I loved the Honey Wheat Braided Twists dipped in the Garlic Mozzarella Dip. For more great party ideas and recipes, visit SnydersOfHanover.com and Snyder's of Hanover on Facebook. 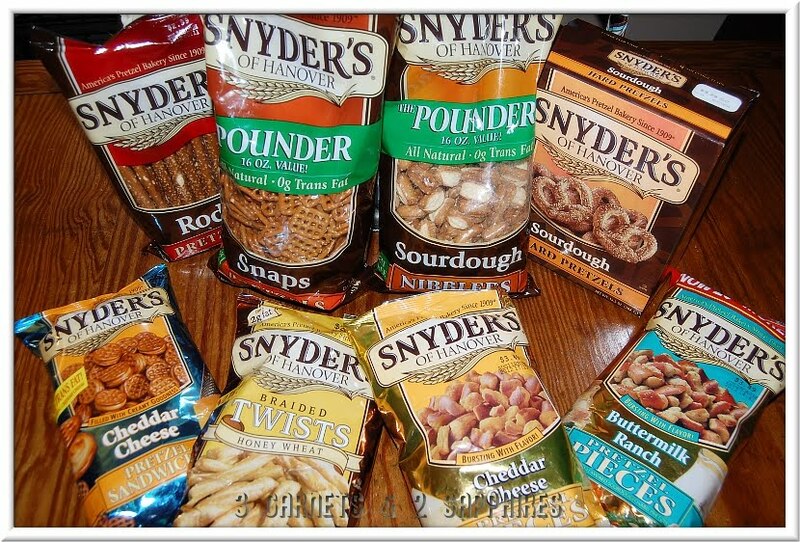 Thank you to Snyder's of Hanover for providing a complimentary National Pretzel Day Celebration Kit for us to base this review upon and for providing a second kit for our contest prize.